In baseball it is the crack of the bat or the thud of a ball in a mit. In basketball it is the squeak of a sneaker or the swish of the nylon. In hockey it’s the clack of a slap-shot or the scrape of a blade across the ice. Each major sports has a definitive sound associated with the essence of the game. For football, it is the burst of noise as pads collide and the deep manly grunt of full contact. While the cracks of pads may signal the start of football season, ironically the sound of contact may signal the beginning of the end for the sport. 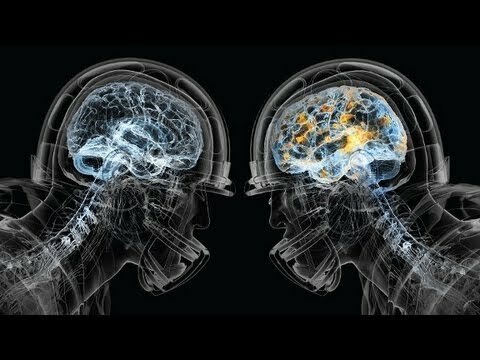 As more parents become concerned with the complications of head injuries, they will keep their children out of football and focused on less dangerous sports. Eventually the talent pool will diminish and the game will become less popular. Sure we all love football, and think it will be around forever. Sure football leagues are doing a lot to make the game safer. Sure there is a push to protect players more. But the fact is that any contact to the head is dangerous, and the scariest part about all of this is that coaches do not always put player’s safety first. We want to believe that all coaches can keep perspective about safety, but when job security comes down to winning and loosing, your safety might not be the first thing on a coaches mind. Late in the fall of my sophomore year of high school, the air crisp and fallen leaves underfoot, we were still practicing football. Our varsity team was doing well in the playoffs like they always did. Per program tradition, I was practicing with the varsity for the remainder of the season as our sophomore season had ended. The idea was to allow younger players a chance to see what really goes into preparing for a varsity game, and to just have some extra bodies to take a beating at practice. Towards the end of one practice we were practicing an on-sides kick. I got sent out on the front line of the scout team to field the kick. Across from me was a line of fully grown varsity football players, and next to me was a line of wide-eyed little sophomores. The kicker approached the ball and with the thud of his foot the ball bounced straight towards me, and I had to fall to my knees to field it cleanly. I was a sitting duck, despite being on my knees. At the time, I was not small for my age, but I was still developing into the man I would become. Running straight for me was a man who had already become more than his fair share of a man. Our starting tight end ran full speed and lowered his shoulder into me. The next year he would be playing Division I college football and he already had the strength and mass to play at that level. The next year I would get my driver’s license. Picture a Hummer driving full sped into a Segway. He got up just fine and ran back to the huddle. I got up, with significantly more difficulty. As I jogged to the sideline, it felt like the field was made of seesaws. I lost my balance and toppled over. I got up, made it to the sidelines with the help of a kind shoulder, and took a knee. Not a single coach said a word to me. Now I realize how badly I was failed by all of the adults in the situation. Why didn’t I come see you yesterday? Maybe because this was my first concussion and I didn’t even know it. Maybe because you did not do your job as a trainer and check on the kid who couldn’t get off the field under his own power. Maybe because not a single coach out of about twenty noticed that the kid WHO FIELDED THE BALL couldn’t stand up after he got hit. Maybe it is because no one had ever taught me a thing about concussions. And maybe, just maybe, I wasn’t thinking clearly for some reason. So ya, I’m sorry my bad Mr. Trainer. So Take it from me, it take a lot more than a helmet to protect your own head. It takes some thought. This is a great post, however, I wouldn’t dismiss hockey as a safer sport to play over football. Hockey sees it’s fair share of injury, head injury/concussions etc.